JMO Electrical Services is a friendly, professional and highly skilled firm of electrical, plumbing and building contractors who provide a variety of services to meet all of our customer needs. 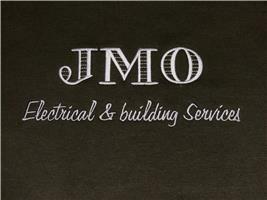 JMO are based in Purley and cover London, Surrey, Middlesex, West Sussex, Kent and South London. We are happy to work in all domestic and commercial premises and will consider all jobs - no job is too small for us. All our work is guaranteed. We have an excellent reputation in the industry and strive to be the best at what we do. We are conscientious, flexible and extremely reliable. Our prices are extremely competitive. We approach each job with care and consideration and take time to talk to our customers to find out exactly what they want. Our dedication and commitment ensures that our customers' requirements are fully met, on time and on budget. Our team is comprised of quick and logical thinkers, who can problem solve and respond quickly. We pay attention to detail, and provide consistency in our work. For all your needs, our friendly team is waiting to help, so call today.